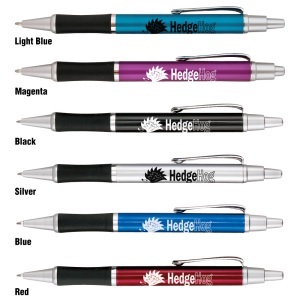 Everyone loves getting new custom printed click pens with your advertising on it. 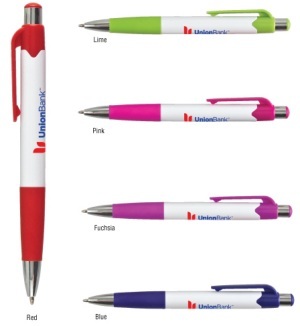 And a new custom printed click pen given to your customer is a great way for people to remember you with your message printed on a pen. 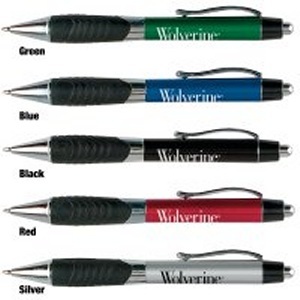 These click pens are marked at great prices. 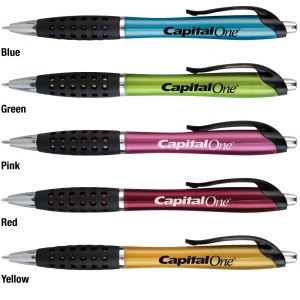 Available in metallic silver, metallic black, metallic blue. 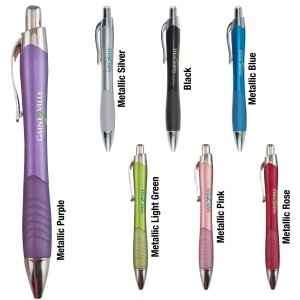 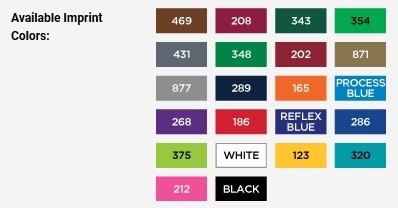 Limited quantities available for metallic rose, metallic purple, metallic lime green.